Love the icons and the cross - thank you so much. May peace and joy fill this joyous time of the year. "It's a joy when order came, carefully pack, with beautiful icons, velvet ... and incenses from Athos. Here is a picture of Nick (not so great of the tsarouhia shoes but beautiful of him) that I wanted to share from Festival. Thank you again for your help with these, they were perfect. I just wanted to tell you I received my holy water jar and it is beautiful. Dear Mr Nioras I've received the beautiful chalice set ! Thank you and God bless you and your company for the work you are doing. Also, thank you for the lovely incense which you included in the package. I really appreciate it. Again, the chalice set is beautiful ! God Bless Father M.
The icons I ordered were just delivered in good condition. The are beautiful and the right incentive to pray and praise God: " Μεγαλυνθήτω ὁ κύριος ". Thank you very much, and may it be to your dedication, " τὰ ἔργα τῶν χειρῶν ἡμῶν κατεύθυνον ἐφ᾽ ἡμᾶς. " I was just letting you know, and I know this is WAY overdue, that my flags I ordered a while back came in VERY quickly and on a Tuesday after I had ordered them so the extra help you provided was very much appreciated. 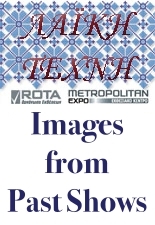 They were used as decoration for Greek fest in addition to some we already had, and they made things look even better and very festive, so I was extremely pleased!!!! Thank you so much, and I will attach a picture for your viewing pleasure below! 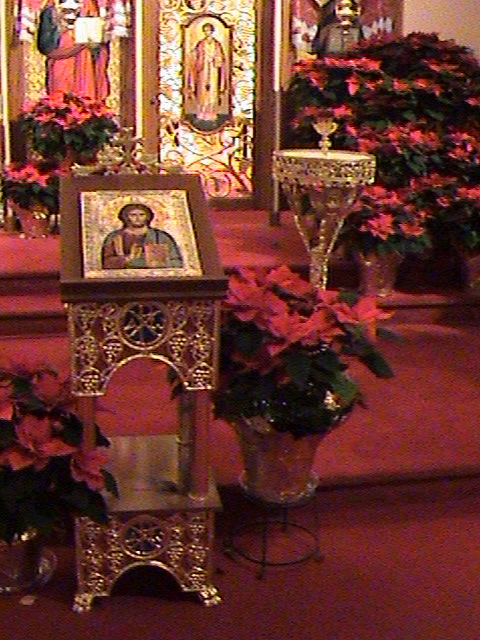 The Icon of St. Sophia has arrived and is as beautiful as you predicted. I would like to thank you and your staff for a wonderful experience purchasing the Icon of St. Sophia. The craftsmanship and attention to detail are truly fantastic. Here is a picture a client of ours from the United States has sent us of a prosforo he has made using our 7660-40 Prosfora Seal From Mount Athos. I received today the anteri, that I ordered from You last week. The anteri looks good and fits well, and I would like to thank You for Your fast and friendly service! I will certainly recommend Your service to my friends here in Finland. 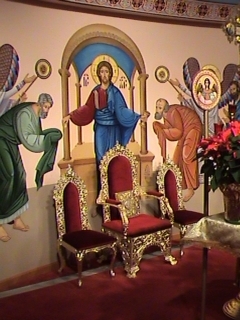 many thanks for the wonderful prosphora icon and drapery. the exorasson arrived at the weekend. In time for the occasion today. I received the St. Stylianos icon today. 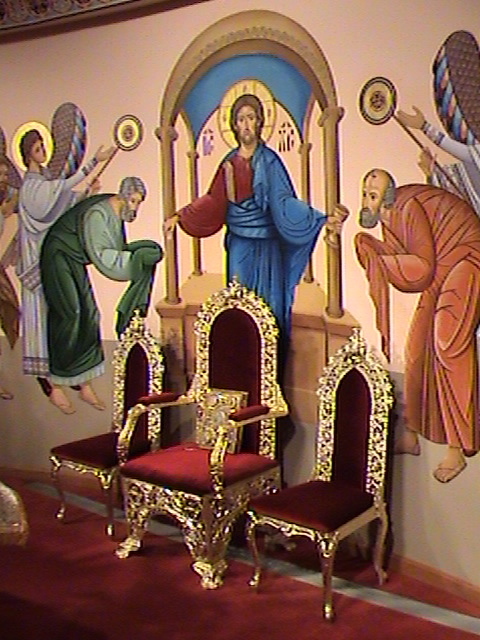 Just to let you know that the two Byzantine Icons arrived safely and are very beautiful. Saturday we baptized my great nephew and I presented the wonderful icon. My niece was so pleased and thanked me a lot because of the beautiful icon. So I want to thank you that you made this for me and for this good price. Many thanks and if I have some money for a handpainted icon of my patron saint St. John the Russian I will come and ask you again for help. i have received the wedding crowns i love tham . My icon has just arrived and it is out of this world. I have never before seen anything so beautiful in all my life. You really did a great job for me and I have to thank you sincerely. Best wishes and looking forward to doing business with you in the future. Thank you very much for the speedy shipping of the costumes. They arrived quicker than I expected. It is refreshing to do business with honest people who keep their promises. The incense is really excellent. A divine fragrance, the scent of God, the smell of our prayer that rises to Him This is one of the few online stores where you can find people truly helpful and kind. Shipping is very fast! I will buy again from this website. the package arrived today, in fine shape. Thank you so much for the gift of the charcoal and beautiful calendar of the Holy Places - that is so kind of you. Until my next order, I thank you again and wish you a peaceful and healthful remainder of the Great Fast! I just received the parcel today... thank you for sending it out so quickly. I received the hanging electric oil lamp and am very happy with it. Thank you for your excellent service. I look forward to doing more business with you! In the meantime I return your wonderful wish for a Blessed Easter to you, your staff and families! Truly yours, Father Alan Tr. I ordered a censor for my 14 yr old son who for 11 years now (since he was 3yrs old) has insisted that he wants to become an orthodox priest. the censor is beautiful and my son could not be happier with it. he has been searching for this exact censor for over a year, and now he finally has it. My order, "The Divine Liturgy Explained," arrived safely today. Thank you for your assistance in obtaining this book. In addition, thank you for your sample of incense; I look forward to using it this coming Sunday. 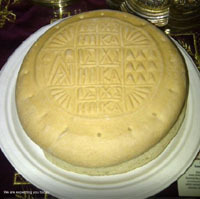 May you have a fruitful Great Lent and a blessed Pascha. Thankyou , I have received the children robes, very beautiful! for a second time I only can realize: Niorasﾴ Icons are the best in internet! his head is in the Emperorsﾴ Cathedral!) are top-icons. Especially the Xeirouvim is thavmasia !!!!!!! We received our package today. Everything arrived just as we ordered. Thank you for the additional and generous item enclosed. 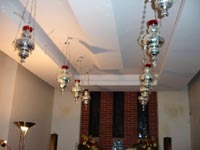 The incense has a beautiful scent and will be used during morning and evening prayers. We will continue to check on your web site for additional items needed by our parish and home. I received the Panagias a few days ago, and I am VERY pleased, they look fantastic! The only thing I was disappointed with were the cases. I was expecting the molded cases for the Panagias; but this is not a big issue. October 23rd - Δοξα τω Θεω!! Thank you and also thank you for the Calendar Αγιολογιον I found in my package. That was very good indeed of you. 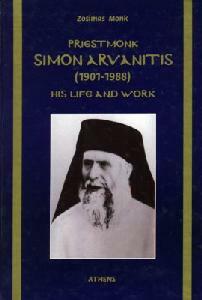 I wanted to ask you when will the Αγιολογιον for 2011 will be ready and available for me to order. May God bless you, Aikaterini (Katie) H.
Today, I got the icon and the candle stand you sent me. Thank you. I am very happy with the icon. It looks very good. I will sure, recommended yours shop to any one. Thank you for the gift, the nice our orthodox calendar. Certainly, I will live the comment on your web site as well. we received the packages this week and they are exapterigon sets beautiful! We will be back as we determine other items needed for our new church. Ελαβα σημερα την παραγγελια μου και ηθελα να σας ευχαριστησω απο καρδιας. Σας ευχαριστω παρα πολυ και ειμαι σιγουρη πως πολυ συντομα θα ξανα επισκεφθω το καταστημα σας ειτε μεσω υπολογιστου, η με τη βοηθεια του Θεου αυτοπροσωπως στην Αθηνα. Ο Θεος να εχη καλα εσας και τους οικειους σας. Φιλικα, Αικατερινη Κ. Katie A.
I hope you still remember me. 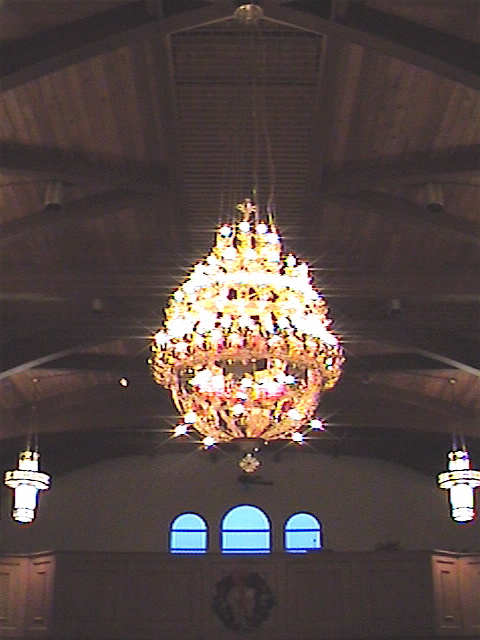 The chandelier and the Bishop's chair and all the vessels that we received from your store are very much adored and loved by my parishioners. I received the wedding crowns,and they are even more beautiful than pictured in your catalogue. During the years I have been doing business with your store, I have never been disappointed. The very high quality of the items you offer, coupled with reasonable prices, are most welcomed in a small parish with limited funds, and your prompt communication and regular updates are especially appreciated. I would like to thank you for the wonderful job you and your employees did with creating such a wonderful Chalice set. Seeing the set brought so much tears to our eyes. We had our Bishop bless it and use it. I received my oil lamp and I am very happy with it. Thank you so much for the prompt shipping and the wonderful workmanship. I am enjoying in. I really wish it came in a larger size, do you know if one is available. I received my Cross in PERFECT condition. He charged me to bring to you his personal thanks for this work, for the quality of your products and your kindness. Evharisto polly for your kindness. You are indeed God's man and do God's work so I pray God to multiply thousandfold His grace toward all that pertains to you and all who surround you.I noticed your 'spiritual magnetism' from the very entry to your site.Building Heaven on earth does not any longer seem to me an impossible thing. I entrust you to Her whose name you bear. Thank Your store for the wonderful service I got it fast and brilliant items. I HAVE RECEIVED IT TODAY !! So happy!! So beautifull ! I would like to advise you that we have received all goods. all come in good order and we are very happy with quality. Also one my frien like to buy same gospel as we bought and he like to give as donation for church in Serbian. may you send that in Serbia. it arrived really in very good time! Now I have things to my customers, they are allready waiting them! I was informed that the shipment arrived in Ohio today after clearing customs. I am traveling on business this week and out of town but the shipping company in Dayton is storing it for me till I return next week. I will let you know when I receive the shipment into my possession. Thank you for all your help and assistance and professionalism. I pray many blessings upon your business and family. I have received today the tabernacle. It is absolutely amazing, superb and a rare piece of art !!! I am so much impressed and I am very satisfied ! The plexi piece is greatly done, it looks and fits very nicelly. Thank you again and God bless you ! We will keep in touch and should I have some more items in future, I will let you know. I will also make excellent recommendations to anyone who might be interested in such items. 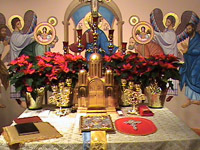 For your information the tabernacle will be at the Holy Trinity Greek Orthodox chruch in Toronto. Many thanks again and I am glad for our great collaboration ! it is really the moving icon I expected! We have already put it in the place we had prepared for and so, each time we pray in front of her, we remind you and your family! Hope to meet you again and really once again thank you! Thank you very much for the good service. I will let you know when I would like some more. It arrived yesterday during Liturgy, it is beautiful- never expected it to be so beautiful- this time you made it very very nice. Thank you. The Abbot will give me the blessing to order a few more things from you soon. God Bless and Peace be with you!! I have been checking out my order status and could not believe my eyes today when my order arrived. I am very happy with your products from www.nioras.com web site and can not wait to order from you again soon. You have a wonderful, professional and efficient business. I wanted to inform you the cross I ordered arrived today, August 27th, at 11am. In addition to being very pleased to receive the Cross, I am very impressed with the workmanship and the beauty of the pectoral cross. Prior to ordering from you, I did extensive research on the Internet for liturgical pectoral crosses for Orthodox priests. Based upon the pricing, the attractiveness of your products and the ease of ordering, I chose to order from you. I will recommend you to my friends and coworkers. I look forward to doing additional business with you soon. Yesterday I got my Oil Lamp and now I can see it in real and touch with my hands! How have you been? Good i hope. To answer your question, i am good, and yes i have finished the Church. Once again i want to thank you for everything you have done in helping me finish my Church. You provided beautiful spiritual items that gave our Church the Blessed finishing touch. 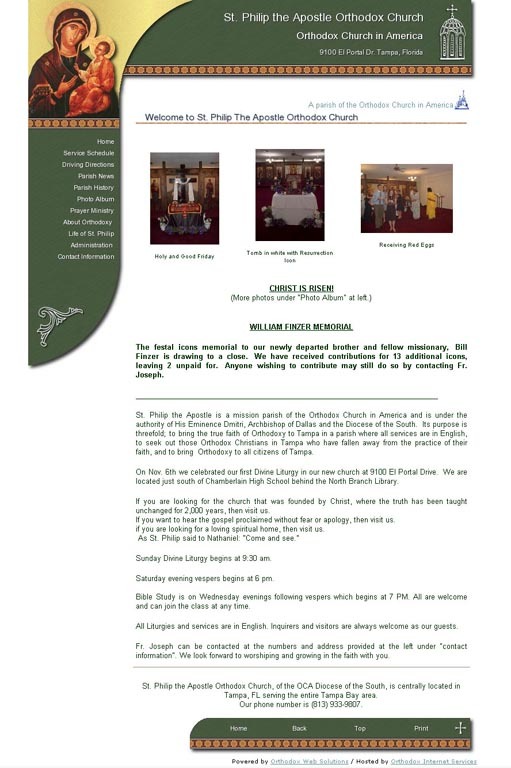 I have tried to send you some photos of the church but it would not let me attach the photos to this email. 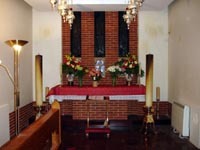 I will try again to send you some photos of the Church. I am going to email you and place a small order for some more Icons in the next few days. We received the icons yesterday. We are so happy to have these rare saints icons in our icon corner for our children whose names they bear. Thank you so much for the quick delivery and all. We have received your delivery yesterday 23.6.09, thank you very much! Iﾴm very pleased with the items, everything was just fine. Our customers are pleased too, as I have sold several items allready. On 15th november we celebrate the 110. annual of our church in Tampere (attached picture), and maybe we have to make one more order in the beginning of october! I'll make sure I tell people about your store. I'm looking forward to receiving these icons for baptismal gifts. has been most beautiful and inspirational. They are wonderful for personal devotion and for gifts... as they are always happily and delightedly received! Thank you for offering this service for Christ and His Holy Church!
! I just wanted to Thank You! & let you know that I received my order today. The Icons were perfect & so was your service & super fast shipping! 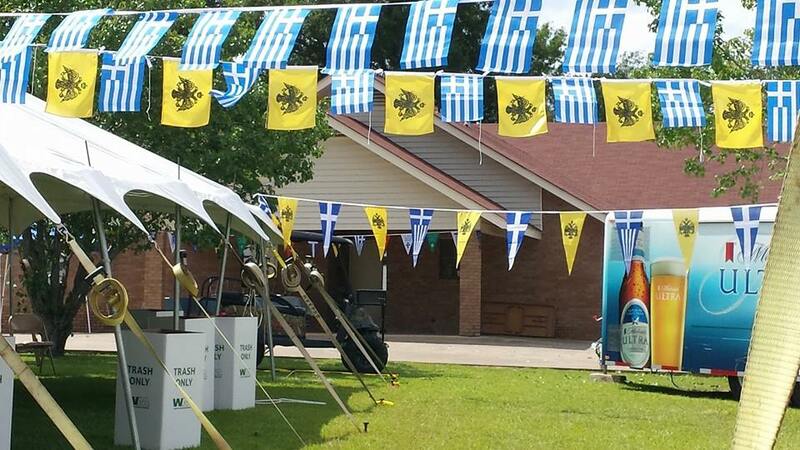 We received our order with the Byzantine Flags yesterday. The flags are very good, beautiful, wonderful !!! With my great joy I dare to inform that today I had significant opportunity to welcome His Eminence The Most Reverend Despotis Jan, Archbishop of Presov, Head of Orthodox Church in Slovakia at my home and I presented Father Archbishop with very very nice panagia you made. We will be using it in Church for Holy Week. I am sending to you a photo from Sunday's Pilgrimage to one of Slovak shrines. You can see here His Grace Milan, Bishop of Kosice with the staff from your company. Bishop MIlan used it on Sunday for the first time. When I was presenting him with this gift last week, he was truly surprised and very happy. He also appreciated quality of your work. your package arrived last Tuesday, February 17th. I wish to thank you very, very much for the gorgeous cross!!! May God Bless you and your very skilled artist! We certainly received icons you sent us. 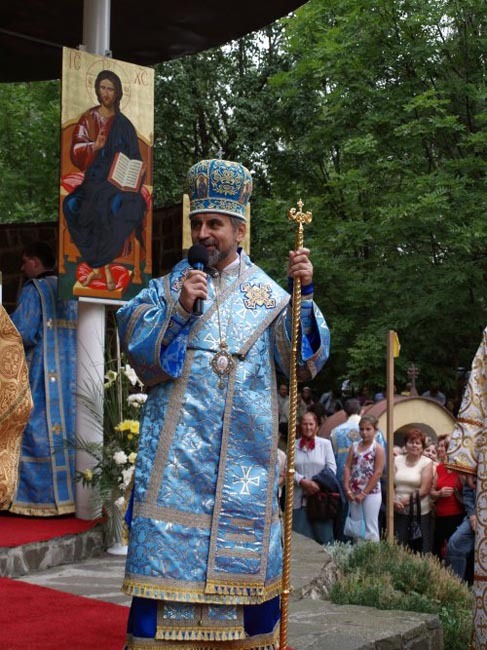 We will give the icons to brothers and sisters baptized last month! Thank you for your help and consideration, as always. They are coming today and it works perfectly. Him desire the best for you and its family in this new year 2009. It had not had time to write him to give him the thanks by the I send of kamelafio new, that already I have utilized in diverse religious services in our Cathedral. Thank You for everything I did receive the calenders this morning. Furthermore, I would like to take the opportunity to wish you and your family a Happy and Safe New Year. please forget my request below, because few minutes ago I receive the goods. You cannot immagine how happy I am ! You have to know that my mother's grand mother was greek (from Athens) and she used to prepare a cake called Vasiliopites (I don't know if this is the right spelling) and she decorated tha cake (but also the bread) with these wood stamps. Unfortunately, most of the stamps that my mother's family had, were lost, and only my grand mother has now one very very old stamp. I would like to keep this tradition, and I and my mother are very happy to have the wood stamps you sent me. So, thank-you very much for your efficiency and for the quality of the goods. Yesterday my first order from Nioras arrived. 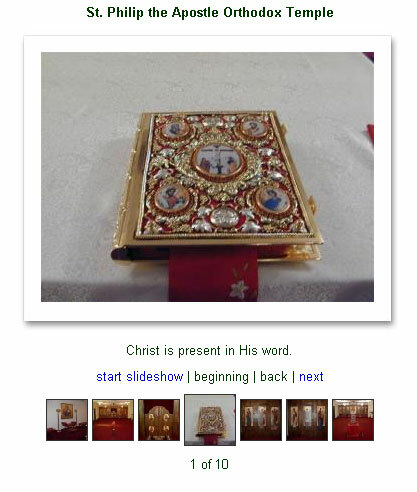 The Gospel Book, Chalice Set, and Blessing Cross are absolutely spectacular. Each item is precisely as described and depicted on your website, with excellent workmanship and materials. 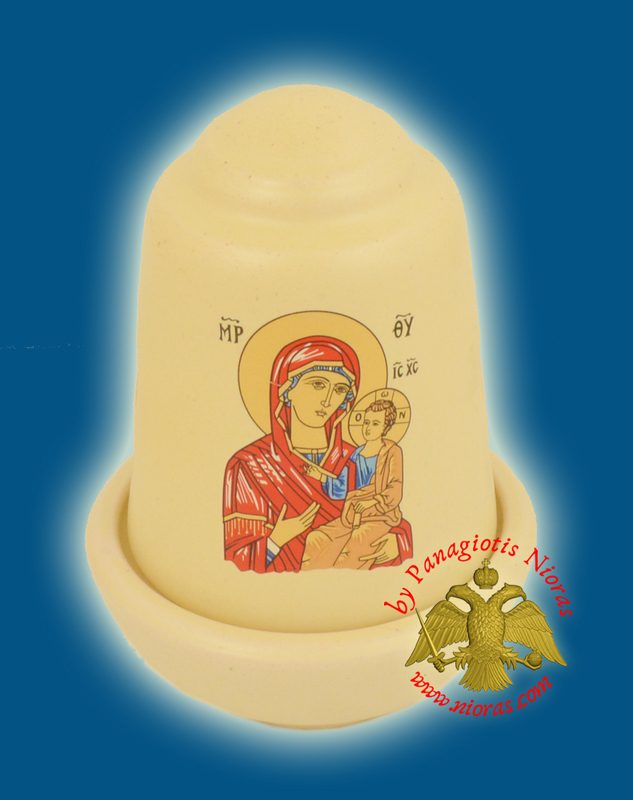 Given the price we paid for these items (including the shipping cost), I feel confident in saying that we received an incredibly good value that I have yet to see matched by any other manufacturer/supplier of Orthodox liturgical items. When I asked questions, I received prompt, courteous, and informative email replies from Panagiotis Nioras both prior to and after placing my order, . The order arrived in a very timely fashion, and International UPS worked flawlessly in delivering a professionally wrapped and addressed package to my door. The contents arrived in perfect order, nicely wrapped, and -- what a joy -- with more beauty than anticipated. I will order from you again with confidence, and speak highly of you to my friends and associates. I wanted to let your know that my parcel arrived to day. I am extremely impressed with your service and will definatley use your services again and reccomend your company. Indeed He is Risen !!! I have given a portion of the Black incense that I purchased from you to our priest at ST. Peter and Paul Orthodox Church in Burr ridge, Illinois / United States. He was totally delighted and has burned it from last Sunday (Palm Sunday) and throughout Holy week till Paska this Sunday. My Icons just arrived today 3/11/08. And they are beautiful. Its's even more beautiful because they were made and shipped from Greece. May God the Father and the Lord Jesus Christ give you peace and love with faith. Thank you very much for the present sent to the Basilica of Our Lady of the Pilar, from Mr. William Lee, from Malasia. Η χάρη του Κυρίου Ιησού Χριστού και η αγάπη του Θεού και η κοινωνία του Αγίου Πνεύματος ας είναι μαζί με όλους σας. It was my English text that we had so much trouble getting through customs. The Gospel book is very beautiful and we at St. Philip are very proud that God's word is so wonderfully bound. 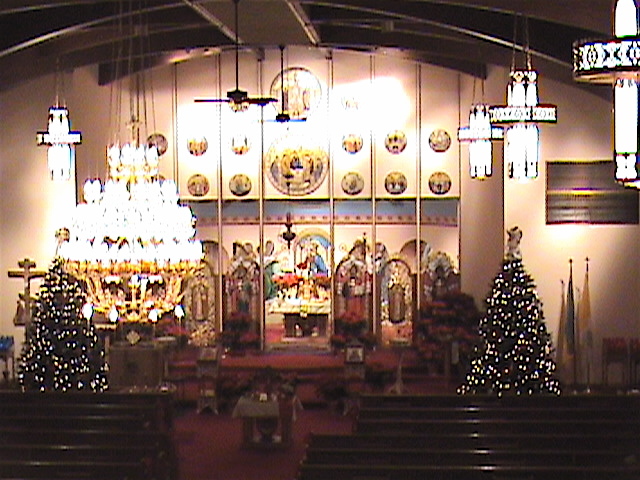 You can see it at our web site at www.tampaorthodox.org. You will also see the beautiful fans that we got from you also. This afternoon the Byzantine Crosses with St George arrived as well as the replacement silver base: all in fine condition. I want to take this opportunity to personally thank you for the labour you did in searching for us and giving us the opportunity to purchase these Orthodox symbols. The chalice set arrived yesturday afternoon safe and sound. It is truly beautiful. It is clear from just looking at the chalice and diskos that the artisans at Nioras take great care with their work. Thank you so much for all of your help in placing and tracking the order. May God bless you in your ministry to the Church. Dear Mr.Nioras Panagiotis I just wanted to let you know that I received your package today with my blue crystal icons. Thank you very, very much. I really love them and I am sure I will be getting lots of compliments on them when I give them away at my son's baptism. a few days ago I received the three wooden icons that I had ordered. They are beautiful, in good condition, and the package was safe und professional. Many beautiful blessings in our Lord, Jesus Christ!! 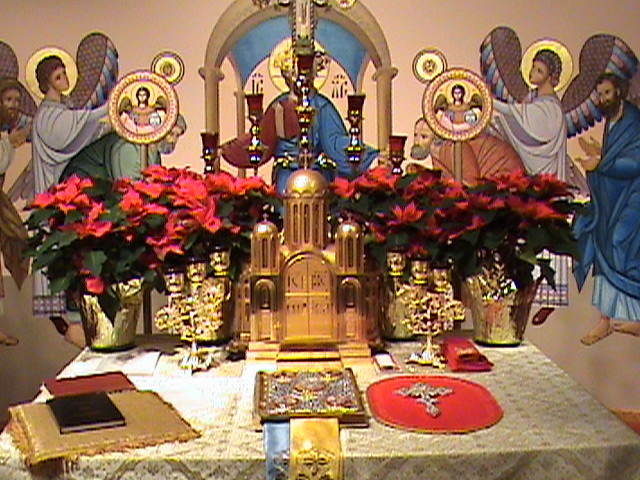 The Fathers and Brothers of the Monastery of the Three Saints would like to express our paternal blessings and love, joy as well prosperity in Christ for the New Year, 2008. We look forward in our business friendship to the New Year!! Thank you for the VERY beautiful things we have bought from you in 2007 they are excellent quality, stylish and beautiful. Yours most kindly in Christ with kind regards; The Abbot, and all the monks. Brotherhood of the Three Saints. I apologize for being late with this email, but I wanted to make sure that our priest had the chance to see the cross before I write back to you - he was on a trip and returned back to town recently. We are all extremely happy with the product and the service you provided. Thank you very much for all your emails, updates, and taking good care of our order. With your professionalism and attention to your customers you managed to turn a bad experience (we had this with another on-line vendor) to a great one. I can assure you that our church will come back to your store for our future ecclesiastical items needs. We wish you and your family happy holidays, and all the best. I just received my order of the icon Panagia Pantanassa. 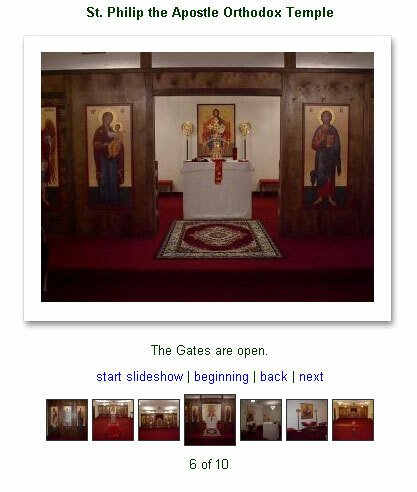 I am so thankful I was able to find this particular icon from your site. It is beautiful and again Xilia Euxapistw. I have just received the engolpion you sent me, and I must say that I am very glad about it. It is very nice and of extremely high quality. I thank you very much for your kindness, your efficiency and your celerity. Perhaps I will later on return to you for a new order. Thank you again for all ! Is it the Greek royal crown that is on the cross or....? Also, what is the little thing hanging from the bottom of the cross? The Icon was also superb. I received today the pectoral cross and I was very delighted about it. The only thing that I did not not before was its heigh. Unfortunately for me was a little too small, but for my college was enough, he liked it so much and also was verry delighted about it. Hello from Demitrios Kat. From Australia Thank you for the goods I recieved today The cup 7802-10 Oil Glass Cup that you sent was very Beautiful the order was very much appreciated. My family loved the vibrant colours. I will add some comments on your web page shortly thank you. I can't believe it, but the package already arrived! The icon and oil lamp are both beautiful. Thank you very much for your efficient and courteous service. I look forward to ordering more items from you in the future. i have recieve today my prosfora seal and is great. its susch a good piece of work. Thanks very much for you excellent service and is really nice finding your store on line where we can buy anything it has to do with our greek calture. keep up the good work. Iﾴm recive today the pectoral cross, and that is very beautyfull. Thankﾴs for your atention in my request. Thank you very much Mr. Nioras. It is a pleasure working with you. We've received the shipped items on time and in perfect condition. This was our third order from your store in the past six months, and God willing we plan to continue in the future with the same tempo. I am contacting you to let you know that the Church Cross we ordered(#422)arrived here today.I can not begin to tell you what happiness the Cross'es arrival brought to our small Church community.This coming Sunday it will be blessed and installed behind The Holy Table.The cross is more beautiful than we imagined.Thank you for the great service you provide for all the Orthodox communities around the world! God bless you. I has just recently purchased icons and holy water bottles from your company. They are very beautiful and the quality is outstanding. Many family members and friends complimented your product and your service. Thank you once again for providing such exceptional customer service. We received our religious items this morning and everything was perfect! thank you very much for the first parcel which arrived already last week. 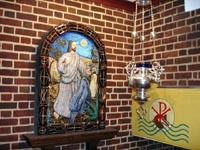 The cross is very beautiful and also the icon lamp. Thank you for the good work. We received the correct item today. Thank you for providing excellent customer service. We will recommend your on-line store to all our family and friends in Australia. Thank you once again. I received both parcels now. The Icons are the most beautiful ones I have ever seen. The Evangelia are extremely beautiful, the job done on it is very good especially the one you repaired for me. I would like to thank you very much for you good services and top quality. Also thank you very much for the calender and books. Dear Mr. Nioras, I want to inform you that today, Monday, 12 February, the 3 icons of St. Mamas and the icon of St. Dorothea arrived safely....they were very well packed, and sustained NO damage of any kind. I wish to tell you how very, very pleased I am with the icons....they are beautiful..especially the one of St. Dorothea....I was having such a difficult time locating an icon of this saint, and I am sure I would have never found one without your gracious help! Thank you once again! I will most certainly recommend your company to all my friends and relatives for all their religious item needs. Mr Panagiotis, Thank you the order of books you sent arrived in pefect condition. I received the wicks and floats for oil candles. They are very nice. Thank you for your excellent service. I received the church censer today, I am so pleased with it, I thankyou very much. Coming from greek background, I was always fascinated as a little girl going to church watching the priest with the censer. For years I have always wanted one, and then I came accross your shop, it brings back so many memories. I wish you a very merry Xmas and happy new year. no need for the tracking number i requested, my package arrived this afternoon! The icon of doubting Thomas is absolutly beautiful. My fiance and i are new converts to orthodoxy as of last year, and this will be his first icon. Everytime i order something from your store it always arrives promptly and in good condition, and your customer service has been delightful. thank you so much for your wonderful service, and i look forward to doing more buisness with you in the future. I just received the articles. To tell you that I loved each and every one of them would be too little. The Byzantine incense, by the way, is something out of this world. I will be placing more orders with you soon. Thanks for everything. The goods arrived today. Everything is o.k. and in an excellent condition. The fast and safe delivery is worth to pay a higher price. The icon of the Good Shepherd arrived today. It is BEAUTIFUL!!!!!!! The anteri arrived yesterday and fits perfectly. The anteri is of excellent qulity and well made. Thank you very much for this fast shippment of the goods I have ordered.I received it one hour ago.All things are in good condition! I got the shipment this morning! Everything is in the perfect condition! Thank you very much for the incense fragrances as a present, they are wonderful and so intensive! The church censer and oil lamp I ordered from you arrived today and I want to say how beautiful and well made the articles are.. I RECEIVED THE CRETE MAN COSTUME ON WEDNESDAY - THANKS - IT LOOKS GREAT! I have received my order with the Greek Incense and am very happy with the qualities you sent me. I have received my order and am very happy with the insence qualities you sent me. The silver icons arrived here yesterday and they are very nice. Since the siver framing is inlaid on the black the theotokos and Christ icons do not look as big as I was worried about and I think that they will work out fine in the church. Thank you once again for your good service and items. Many thanks for my parcel. It arrived yesterday and all the books are in excellent condition. Once again thank you for your good service. I love the martirika and the icons! They are beautiful. Yes, thank you, we received everything in good order. Thank you for your follow up. We will be back in contact soon to order more charcoal and some incense. ...I like your church supply products and I appreciate you and your staff working with me. I will be ordering from you again in the future. The package with the Byzantine Wedding Crowns,came on Saturday, everything is perfect. Christ is Risen! Christos Anesti! P.S. My father absolutely LOVED the custom gospel. I have already received fantastically nice engolpion. I am very happy I bought impressive church supply in your store and after audience granted by His Eminence The Most Reverend Despotis Jan, Archishop of Presov, Head of Orthodox Church in Slovakia I will send you photo from it as well as interpret you ideas of His Eminence to your work. I would just like to say that the pectoral cross I have ordered from you has arived today. I can not describe how pleased I am with it. Thank You for the finest cross I ever have seen! Dear Mr. Nioras, I think that you will remember me. It was my English text that we had so much trouble getting through customs. The Gospel book is very beautiful and we at St. Philip are very proud that God's word is so wonderfully bound. 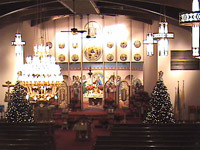 You can see it at our web site at www.tampaorthodox.org. You will also see the beautiful fans that we got from you also. I write because we now would like to purchase a pair of altar table oil lamps. Dear Panagiotis, Just wanted to inform you that the 2 beautiful icons arrived today! Thank you! Hello from Canada. I just read the Odyssey Magazine for the month and noticed your advertisement. It looks great. The website is terrific as well. I hope everyone is well. Hugs and kisses to all. Good day ! Dear Panagiotis Nioras, We (me and my family) just received the 5 bulbs you promised. They work and everything else is just fine this time, as it can be for Serbia... ;) We are admiring your act... It's nice to get some of real "Europe" where it is not (for half of century). When I go to Greece next time I'll sure visit your shop in Athens. Eyharisto ! Dear Mr Nioras Today I have receive the order, the Blessing Cross and the Clerics Kalimafhi. Thank`s for your present, and mi congratulations for the quality of the product`s. Blessing`s for you and your job. The parcel with the incense has just arrived. Thank you very much and God bless you. I have donated half to the Institute where I work and left half for myself. The Oil Candles have arrived today, not unpacked completely as yet but on first impressions they are exactly what I wanted & the quality is very good for the price. Thanks again for your prompt action in getting the Lanterns made so quickly for my project. ... Dear Mr Nioras I received my Icon order last week in excellent condition! I ordered from your Wooden Icon collection. When I took them to church this weekend to be blessed, my priest first reaction was asking me if they were hand written. They are that fine a quality.